Is 3D tech getting out of hand? The glasses cost $9.99 with shipping. 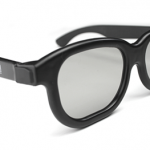 Which means the $3 premium for 3D movies just got that much more expensive for those whom 3D doesn’t work. 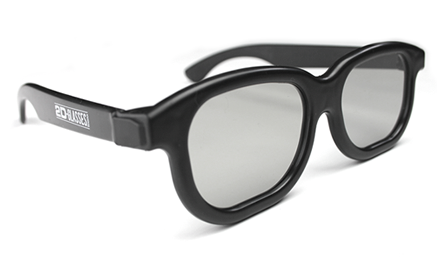 This is a compromise, of course, for those who don’t want to make their 3D loving family have to watch movies in 2D because of their headaches. But how many compromises must there be? 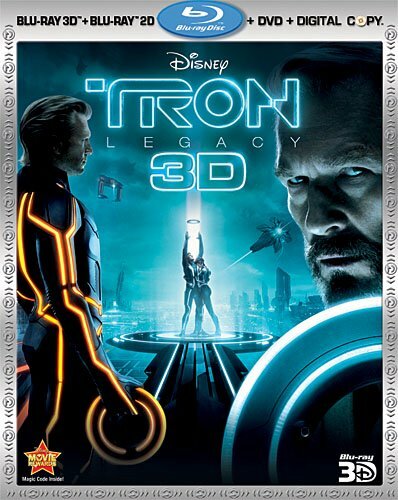 Yesterday I opened the special 4-disc edition of Disney’s Tron: Legacy Blu-ray Disc. That’s right, 4-discs! Why? Because Disney is cutting edge. Tron is a technical marvel, with 7.1 DTS:HD Master Audio, and full 1080p 3D. Of course most people don’t have that kind of setup. The first disc is the 3D version BD. The second is the 2D BD with bonus features. (There are no 3D bonus features.) The third disc is the DVD feature and DVD bonus features (which are different than the BD bonus features). And the fourth disc is the digital copy. Remember the promise of all of this on one disc? Those were the days. But why is there a 3D and a 2D Blu-ray Disc? I’m glad you asked. The 3D disc will not play without a 3D setup. Not at all. It won’t just play a 2D version, it won’t play anything. Which brings up my original question: Is 3D tech getting out of hand? I think so. All of the manufacturers and content providers are pushing hard for 3D, and it’s unprecedented how home 3D has avoided a format war and how fast the technology has penetrated the market. But consumers want convenience served alongside their entertainment. It’s why theaters have been suffering when it comes to ticket sales; It’s not convenient to go out to watch a movie when you can do it at home. It’s also why audio and video quality has suffered compression over the past decade in order to stuff the files onto smaller devices, and stream across space-time. Listen, I like 3D but I also understand why people don’t want to jump through hoops in order to enjoy it. It can be a real pain. Consumers like features on the box, but they don’t like to actually enable features or learn how to use them. Nobody wants to ave to think about how to get everything setup before every movie. On many discs you already have to select what type of audio to use, which is ignored most of the time anyway, giving the default option most of the time. Nobody also wants to have to select the right disc out of a bundle pack, turn on glasses, make sure the TV is syncing up properly with the player, and on and on. They want to just sit down and enjoy the ride. What do you think? Is technology getting in the way of media enjoyment?